A pot of urine can tell a lot about your diet and health. It can tell whether you are adequately hydrated, or how well your kidneys are functioning. It can tell if you are suffering from jaundice, or if you have high blood sugar. Modern chemical analysis of urine can reveal a wide range of afflictions. Even centuries ago, before such diagnostic tests became available, and before there were microscopes and blood tests and X-rays, urine was the one and only body fluid that could be reliably analyzed. It was transparent, had different colors and sediments. It had a unique smell, and it could even be tasted. Uroscopy, or the practice of visually examining a patient's urine, was encouraged by Hippocratics (460-377 BC), who is known as the “Father of medicine”. Hippocratics believed urine was a waste product through which the body attempts to get rid itself of peccant matter caused by diseases. The urine's color, transparency, cloudiness, and other features offered a window into what was happening inside. “When bubbles settle on the surface of the urine, they indicate disease of the kidneys”, states one of the Hippocratic Aphorisms. 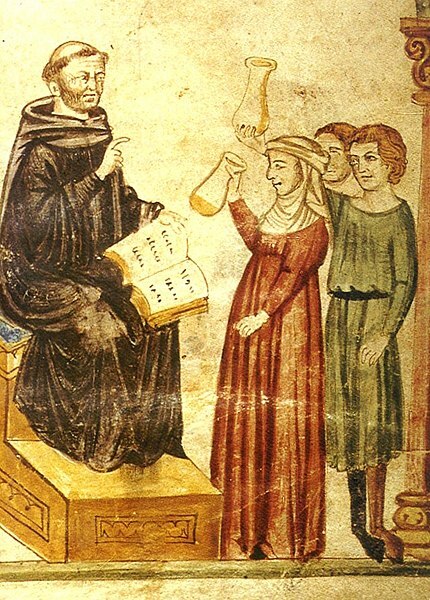 In the 7th century, the Byzantine physician Theophilus penned a very popular book on uroscopy detailing how to diagnoses a variety of diseases through urine. 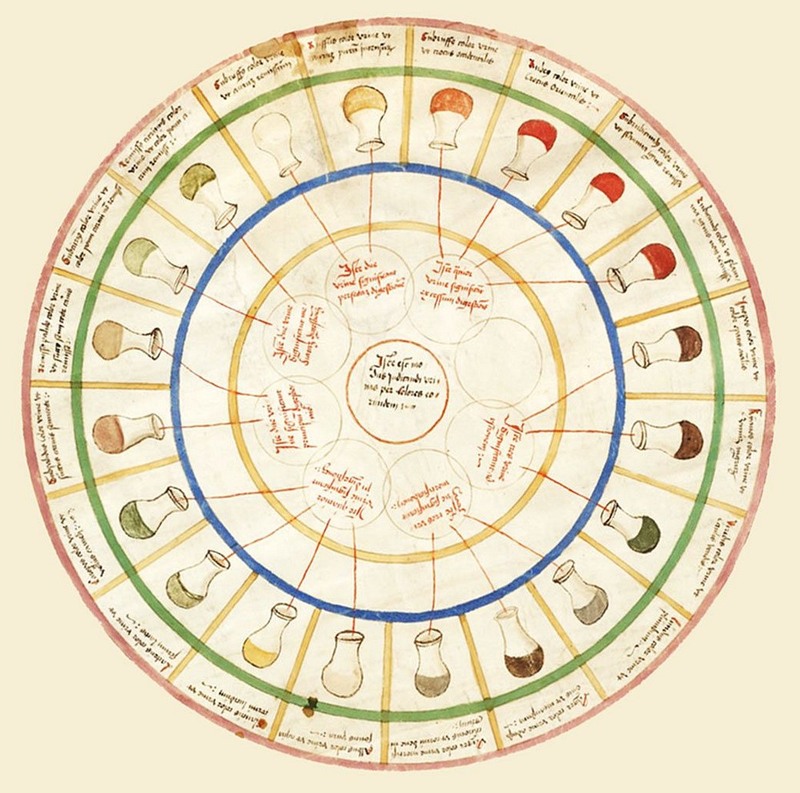 About 300 years later, the influential Arab physician Isaac Judaeus developed a complicated flowchart which he claimed could determine every disease known, with more than 20 hues of pee to choose from. The chart became a big hit among medieval physicians. 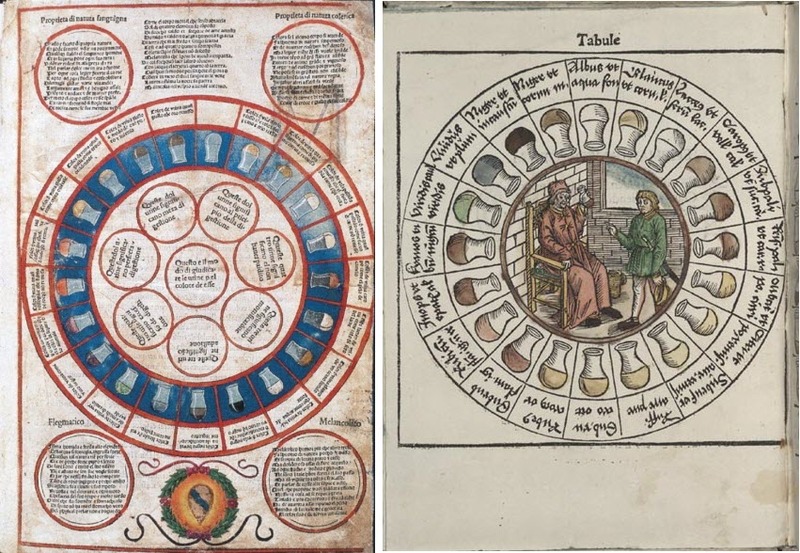 These flowcharts known as urine wheels became a standard inclusion in medical texts for centuries, especially during the middle ages, when interest in uroscopy peaked. By then, it was widely acknowledged that certain diseases noticeably altered the color, smell and taste of urine. 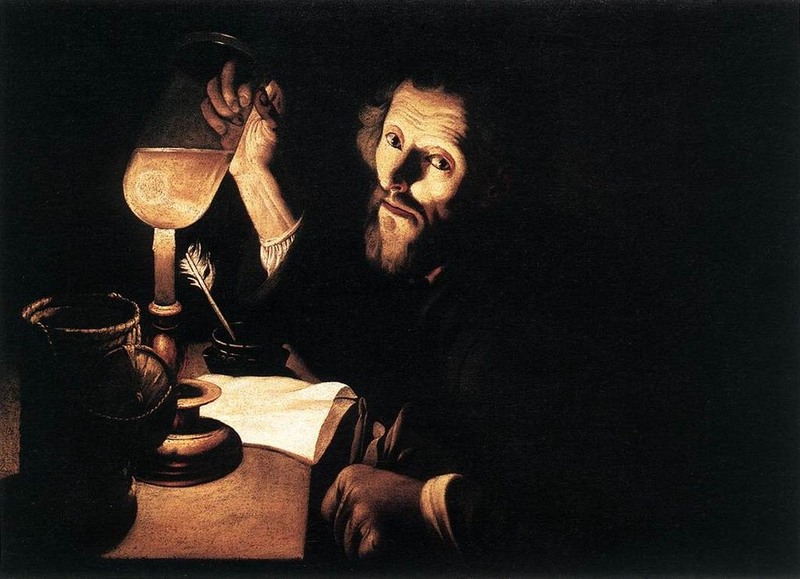 Visual analysis of urine became such a standard medical practice that the archetypical image of a doctor holding a urine-filled round-bottomed glass flask—known as the matula—up to the light became the symbol of the medical profession. Aside from diseases, urine was also used to determine pregnancy. One text dating from 1552 explains that a pregnant woman's urine was a "clear pale lemon color leaning toward off-white, having a cloud on its surface." Some doctors added wine to the urine for diagnostic purposes. When alcohol in the wine reacted visibly with protein in the urine, the test was deemed a positive. Since urinary protein excretion increases substantially during pregnancy, the test might actually have worked. 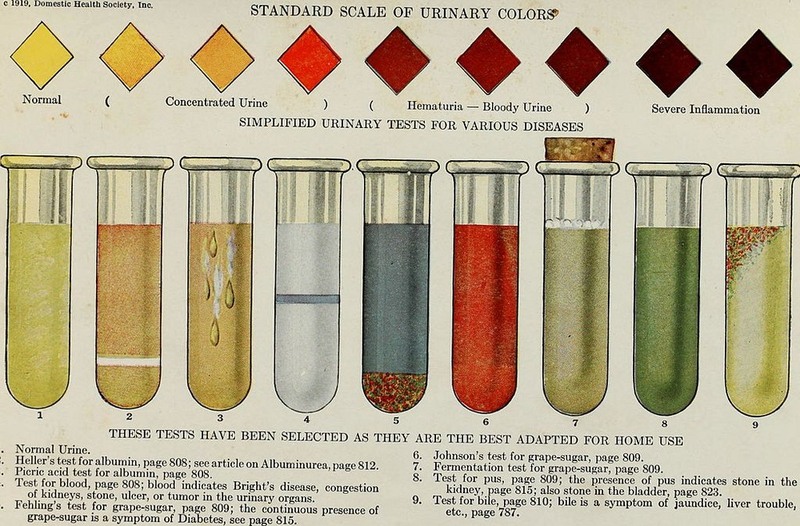 A handy guide to urine-based diagnosis that can be conducted at home, circa 1920. Sensory evaluation of urine came to an end in the late 18th and early 19th centuries, replaced by chemical analysis. But some physicians stubbornly held onto them, and they became known as piss prophets. As early as Roman times, urine was used for the purpose of fortune-telling, a practice known as uromancy. A uromancer would gaze into a bowl of urine and make divine prophecies based on how the bubbles arranged around the bowl. Others saw signs of the heaven in the urine’s color and taste. Urine analysis is still an important diagnostic tool, although modern pathologists merely peer into the microscope or mix various chemicals together with the urine and observe the results. Swirling a flask of a urine and taking a sip to pronounce an illness is a lost art—an art which surely no physician is going to miss.